A unique combination of independent student research, access to developments at the forefront of the field, and challenging coursework both within and beyond engineering. Our program combines the rigor of engineering fundamentals with the flexibility of a liberal arts curriculum for a world-class university experience. While mastering the core concepts of physics, math and electronic systems, students customize their training through projects and elective courses — within the department and across the campus — in STEM fields, entrepreneurship and beyond. To be adequately prepared for the first-year engineering program at Princeton, students should take high-school mathematics through calculus (if possible), as well as high-school physics and chemistry. Many students enter Princeton with advanced placement in one or more of these subjects, but this is not a requirement for admission or for success in the program. The Undergraduate Curriculum page provides more details about your pathway to the BSE. As an undergraduate, you have opportunities to engage in exciting research in areas like machine learning, laser design and information security. 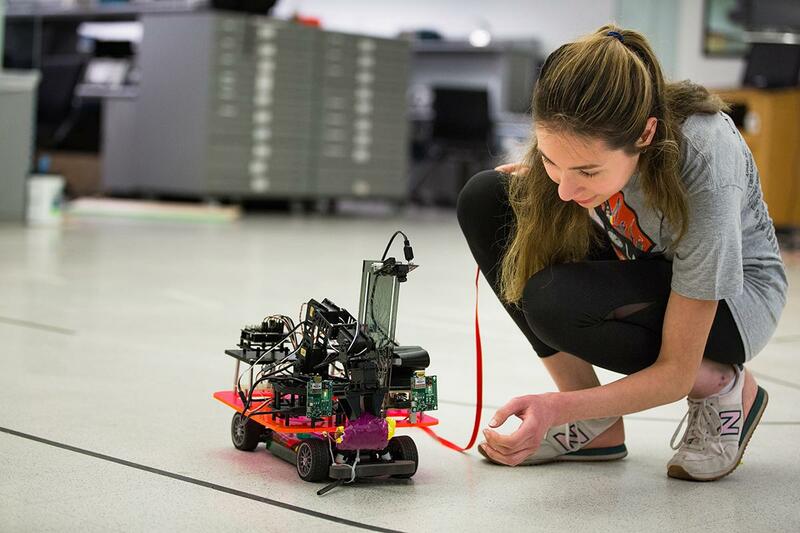 Your junior year centers around designing and building systems and culminates in a demonstration of your work in “car lab” (ELE 302), where small teams of students create autonomous vehicles that carry out specified functions. For many, this is one of the highlights of the program. In your senior year, you develop an independent project that applies your knowledge and skills to a real problem. This is known as the senior thesis and is completed with the guidance of a faculty adviser. Some students choose to work within the context of their adviser's research lab, while other students devise a self-directed project of research. Either way, you work closely with a world-renowned engineer to address a societal problem of your choosing. Each ELE major chooses an area of concentration within the field, which gives coherent shape to your classes over time. We have 10 suggested areas with prescribed course lists. To learn more about each of the areas of concentration in detail, see the Undergraduate Handbook or contact Jean Bausmith, Undergraduate Coordinator. Our graduates often go on to distinguished careers in science, engineering and technology. Many continue their education in top graduate schools, while others find work with companies like Google, Intel and Microsoft. Others still enter professions in business, finance, government, law and medicine. All of these options are open to you as you make your way to graduation. 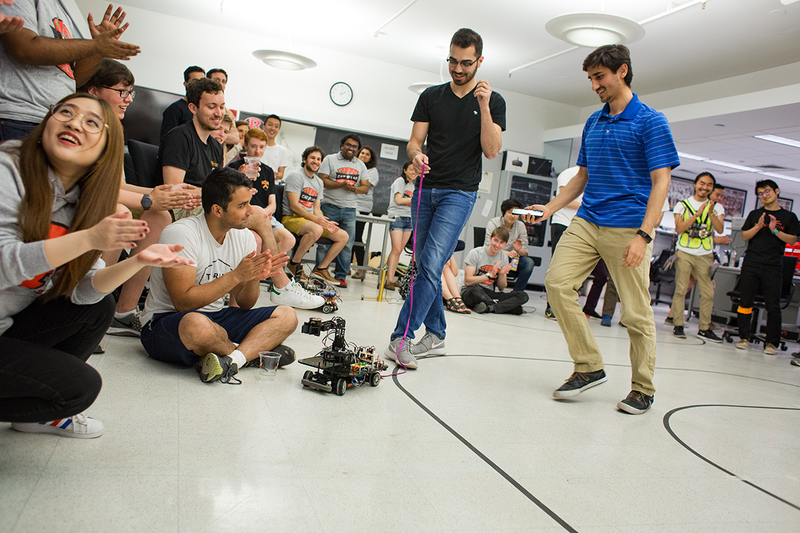 Once each semester we hold an open house in the undergraduate lab, F110 in the Engineering Quadrangle. An open house offers the best chance to see demonstrations of student projects and speak one-on-one with professors and ELE majors. If you are thinking of applying to Princeton, an organized tour of the School of Engineering and Applied Science (SEAS) may help answer your most pressing questions. Contact Traci Miller in the SEAS Undergraduate Affairs office at (609) 258-4554. Applications for undergraduate admission are available from the Princeton Admissions Office.